Whitman; 434 pages, heavily illustrated in color. Research assistance from Wendell Wolka and illustrations mainly from the collection of Gene D. Mintz. 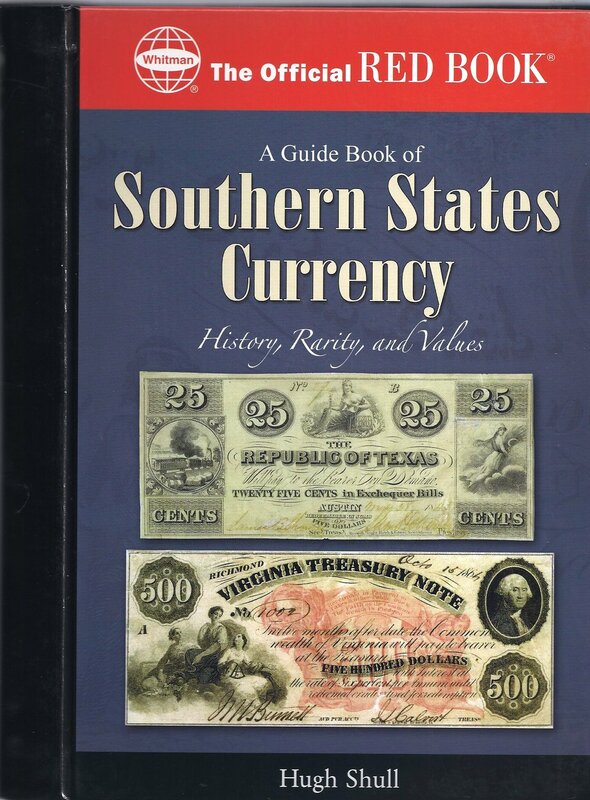 Building on the classic foundation laid by Grover Criswell, paper currency expert Hugh Shull presents an authoritative guide to the state-issued money of the South, from the pre-Civil War era through the war years, and into the late 1800s.